LOS ANGELES (Jan. 21, 2019) – The 25th Annual SAG Awards, hosted by Megan Mullally, will be simulcast live on TNT and TBS on Sunday, January 27, 2018 at 8 p.m. ET / 5 p.m. PT. It’s the actors’ party in the actors’ house, when many of film and television’s brightest stars get together to mingle with friends and colleagues while recognizing outstanding achievements by their peers.  Each annual SAG Awards® embodies culture, style and community for attendees and audiences alike. That welcoming atmosphere makes it easy to forget that everything here is on a larger-than-life scale. Cooper’s Hawk Winery & Restaurants is serving the Official Wines of the SAG Awards, including the “Artist’s Red Blend” created in honor of the Silver Anniversary. Not only is the wine an exclusive limited edition, so is its bottle – complete with a specially designed label and even a cork custom printed with the occasion. Chopin Vodka and Dorda Liqueur, working with The Blinn Group, are offering three specially crafted cocktails and a Classic Martini at the Showroom bars and at the official Post-Awards Gala. The cocktails – named The Silver Anniversary, The Silver Lining and Happy 25th! – require many premium ingredients for their artisanal recipes. The Silver Anniversary arrangements were inspired by the harmony of a much-loved garden, expressed with a simple monochromatic palette of burgundies. Green highlights accentuate the marriage of burgundies with their silver containers.